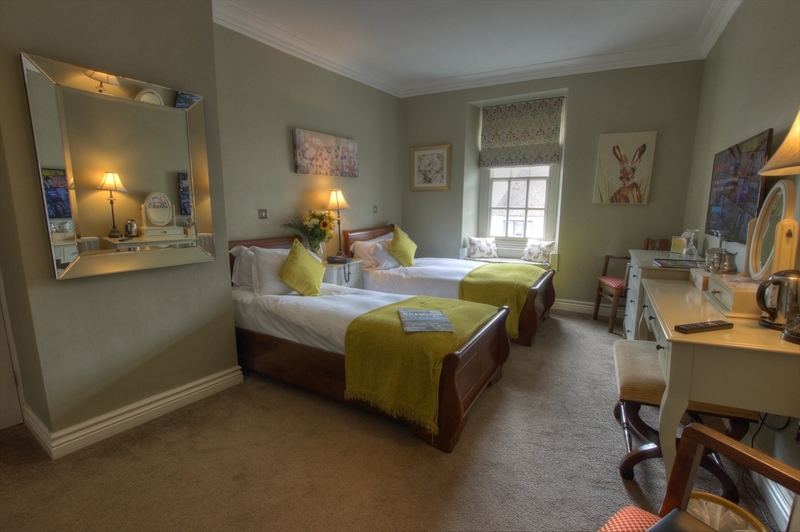 All our rooms in Dunster Castle Hotel are designed to blend the traditional grade 2 listed charm with guests’ expectations that relate to modern living. In all rooms guests will find old fashioned comforts such as Mile’s traditional tea and coffee with homemade shortbread biscuits, alongside the latest wall mounted SMART TV’s that allow guests to watch catch-up services, keep in touch with friends through social media, search the internet for interesting places to visit whilst in Dunster, or even just watching plain old high-definition TV. It’s all possible whilst at the same time being connected by your own devices by our new superfast broadband. Continuing the ‘modernity in tradition’ theme, all rooms have USB power sockets to keep your electronic devices topped up. 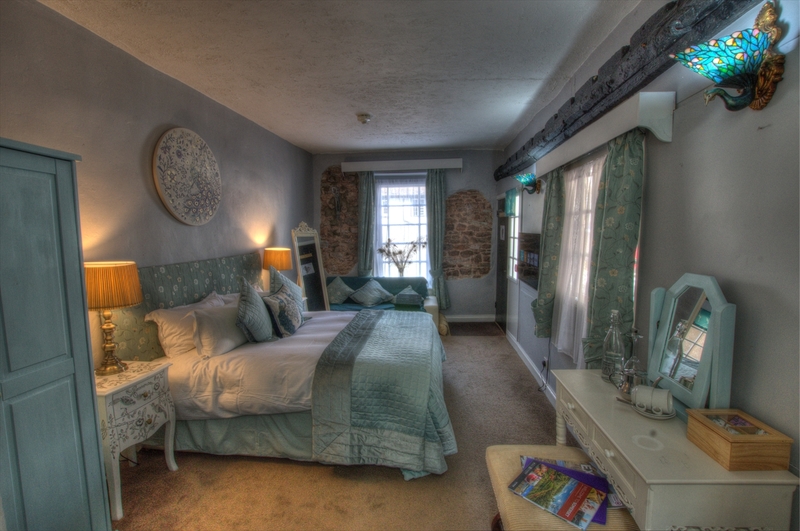 Most of the rooms face Dunsters’ medieval cobbled street where guests can watch the world go by. 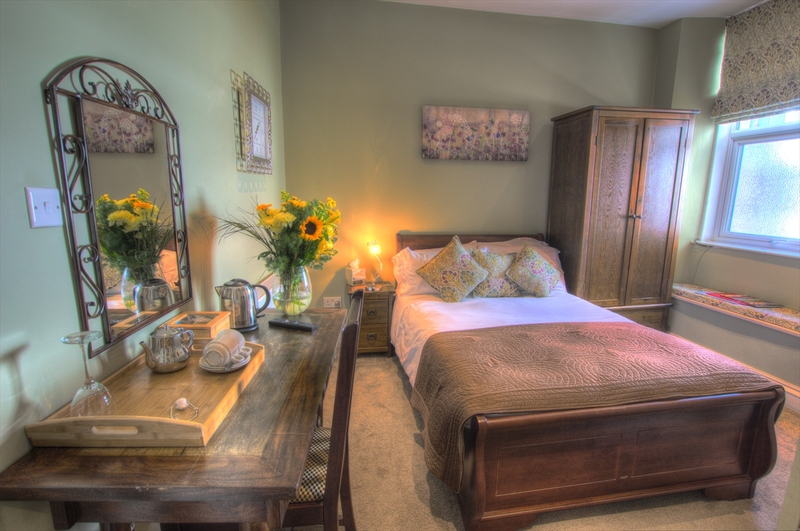 The cosy beds with duck and goose-down quilts ensure that a restful nights sleep can be achieved before tucking into the following mornings tasty Exmoor breakfast options. 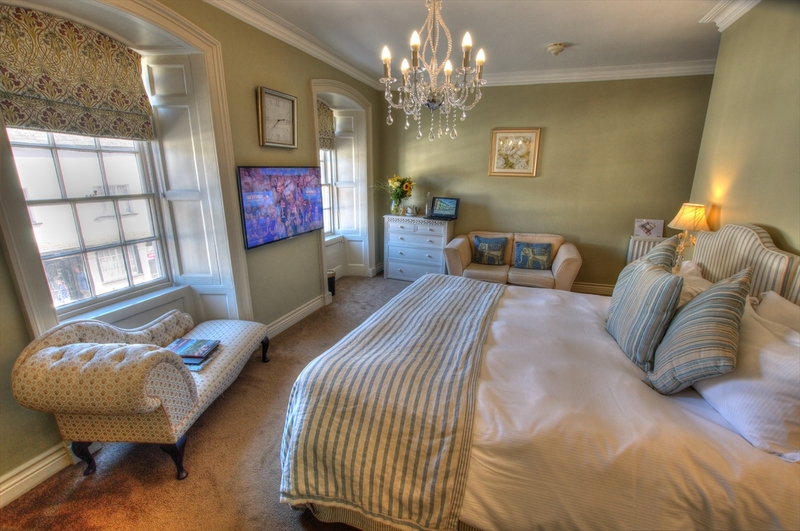 Our most luxurious room offering the largest bedroom area, with a bathroom featuring an integrated shower, superior king-size bed and a bay window that looks over Dunster’s cobbled street. 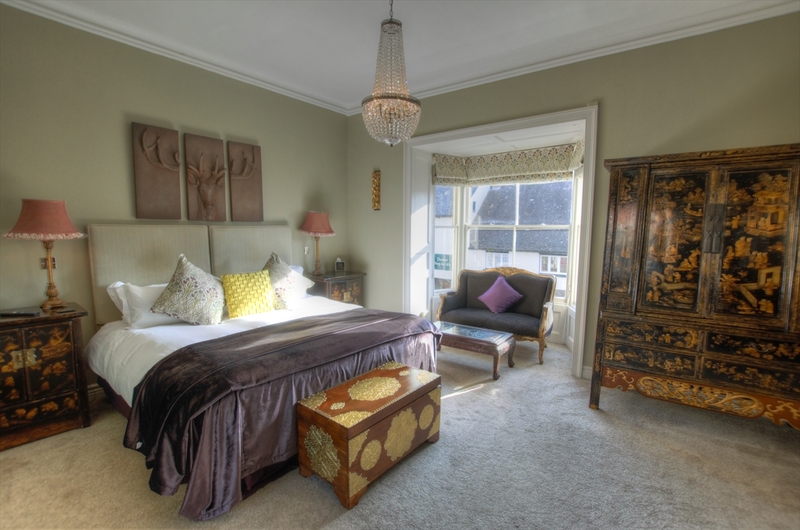 One of our premier rooms that features bathroom with integrated shower and a super-kingsize bed that can be split into twins, and windows overlooking Dunsters cobbled high street. 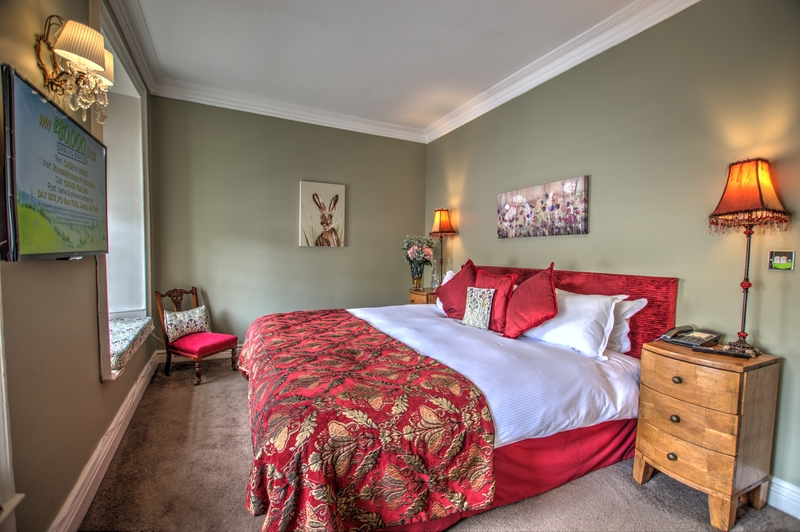 One of our premier rooms that features bathroom with integrated shower and a super-kingsize bed with windows that overlook Dunsters cobbled high street. 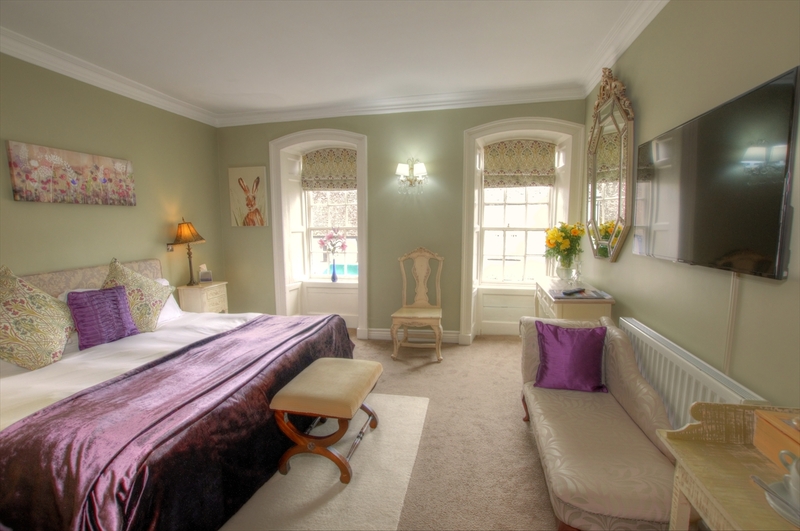 One of our premier rooms that features large shower room and a super-kingsize bed with windows that overlook Dunsters cobbled high street. One of our premier rooms that features en-suite shower room and twin sleigh beds with a window that overlooks Dunsters cobbled high street. A kingsize bedroom that features an en-suite shower room. Being at ground floor level it is more accessible for people that are less mobile. Also, having it’s own entrance, it is able to be used by guests with 1 large or 2 small dogs. 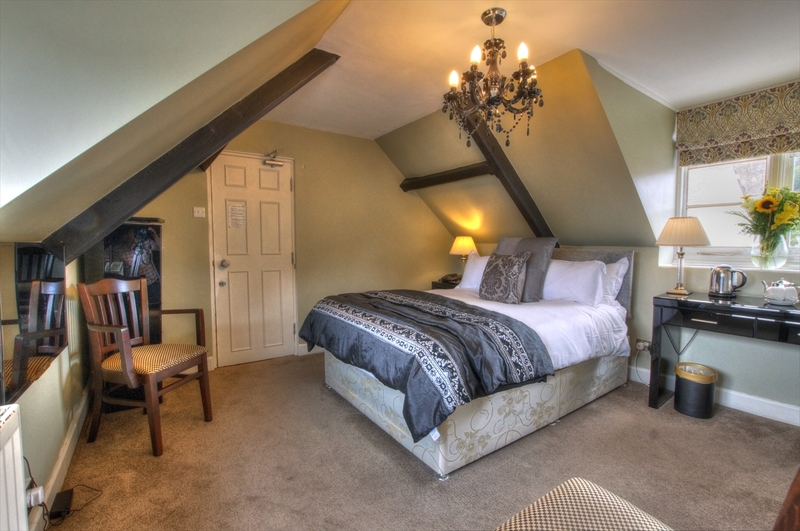 One of our smaller double rooms that feature a glossy-black decor, with a hanging chandelier and a central 40″ SMART television, with an en-suite shower. A photographers’ dream for capturing Dunster at its peak. Being on the second floor of the hotel and with eaved walls, it is one of our smaller rooms. 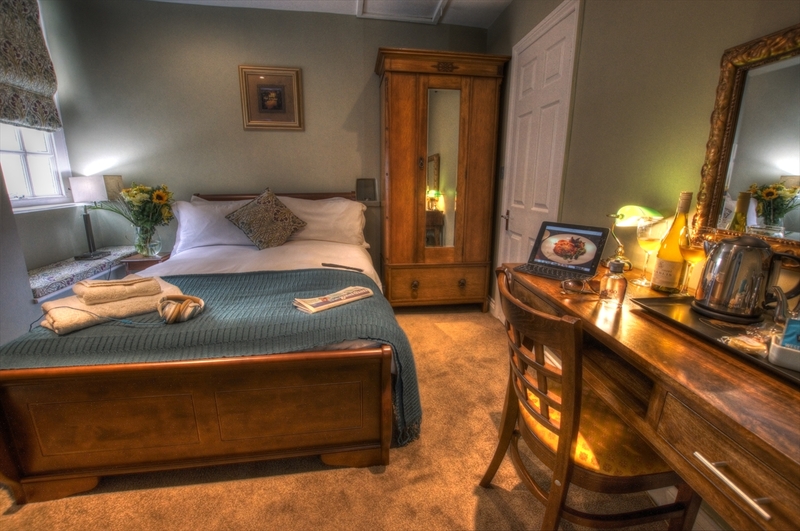 Never the less, it has plenty of character and features all of the facilities of our larger rooms with an en-suite shower and the most luxurious double bed. This is one of our smallest doubles with an en-suite shower. The window faces on to our internal courtyard and is ideal for those who wish to have all of the facilities of the hotel but with a smaller economical room. This weekend, we are offering 25% off all luxury rooms in our hotel to all who book for a minimum of 2 nights commencing 9/3 to 12/3. If you would like to find out more, please do not hesitate in giving us a ring on 01643 823030 and speak to a member of our team.